I have been traveling for a while. Not long enough to explain my lack of recent posts. For this, only I am to blame. But if you happened to wait for a drawing or some random social commentary, I will make it up to you. 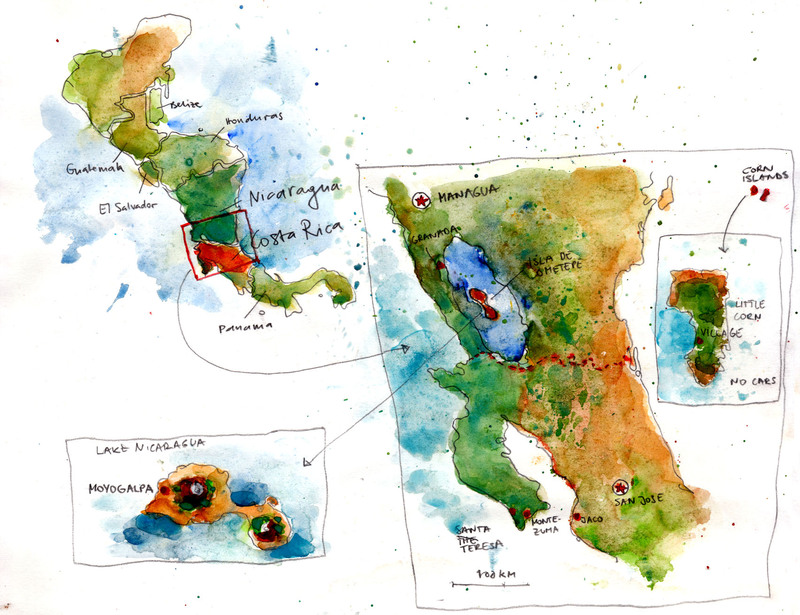 I have a sketchbook filled with scribbles from Costa Rica and Nicaragua. Get used to some of the locations by staring at the map. Does the fact that you’ve painted Costa Rica in red mean you’re there fomenting a Marxist revolution? Haha not really, I think things are good the way they are down there.